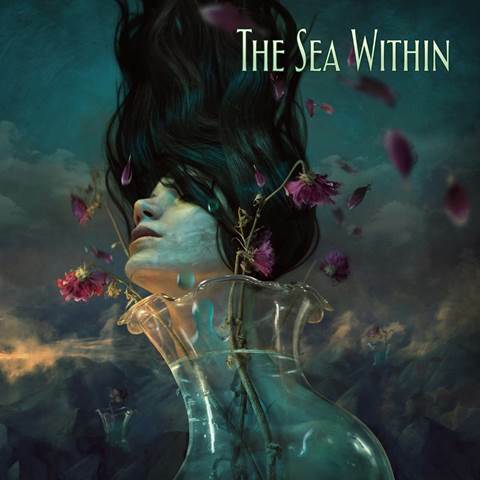 The Sea Within are the latest progressive rock supergroup, for want of a better word. 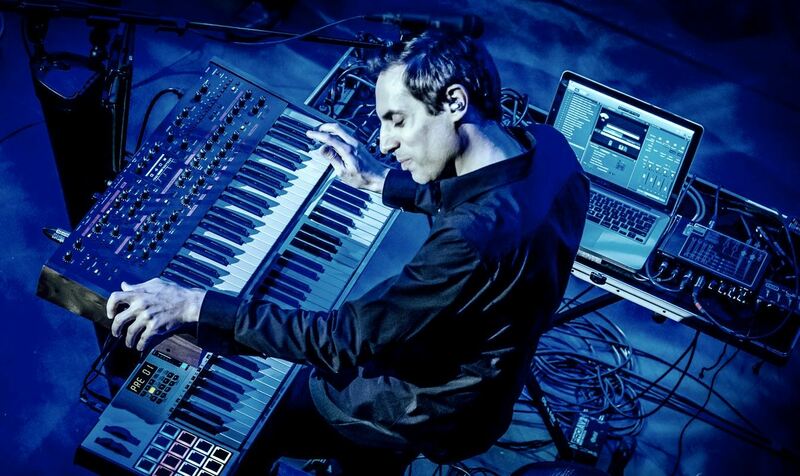 High profile names that the prog rock fraternity will associate with a shedload of different projects, who’ve now come together to see what they can new in a new setting. We reviewed the album here and now get a chance to fire some questions at keyboard player Tom Brislin. LOUDER THAN WAR: Many people will know your name from the Yes Symphonic tour back in 2001. What have you been doing since then? A few things spring to mind: Spiraling, the Anderson/Stolt album, Camel, Francis Dunnery… There was also your solo album in 2012, Hurry Up And Smell The Roses – a brief diversion or something you’d like to repeat? 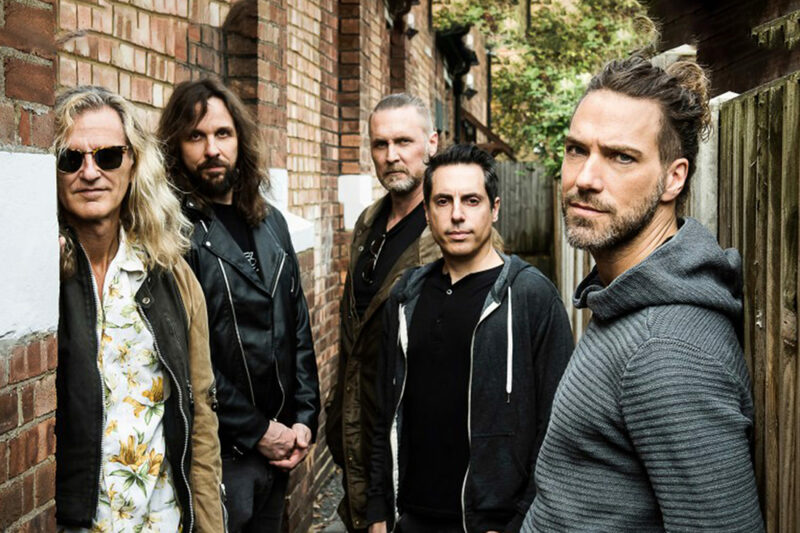 TOM BRISLIN: Between Spiraling, which was a band I fronted until we closed up shop in 2008, and the touring/recording work I had been doing concurrently (and recently) with other artists, I felt like it was time for me to create an album where I wrote and played most everything. That’s where Hurry Up and Smell the Roses came from. I am planning on more releases, but the next time around I’ll be putting a band together. The Sea Within was an appealing prospect because it would be a chance for me to write within the context of the progressive genre, with musicians who have clearly made their mark in that scene. LTW: So have you ever worked with any of the other band members before you did The Sea Within? TB: As you mentioned above, the most recent project would be Invention of Knowledge by Anderson/Stolt. I was in the studio with Roine and Jonas; Jon Anderson and I had been talking about ways to work together ever since my tours with Yes in 2001. LTW: How did it feel to be ‘selected’ as a member of Roine Stolt’s latest project? TB: Roine and I had met while I was touring Europe with Yes; just about all of Transatlantic had come to see a show. A few years later, Spiraling and Flower Kings played a few concerts together in the US and he was always a big supporter of ours. We didn’t fit into the typical prog-rock mold (quite a bit of power pop influence there), so I thought it was cool that he spoke highly of what we were doing. LTW: It feels a bit like the modern day Transatlantic… with the Swedes/Europeans meeting the Americans… is there any sort of difference in the way you guys from different parts of the world work or are you all just musicians of the world? TB: I think that variations in one’s creative process has more to do with each musician’s musical mind, and how it works best, more than a cultural thing. I’ve taught music in India, and worked with musicians from all over the world and it all comes down to the individual preferences, whatever works best to get your ideas into the world. There was one funny exchange in the studio when I brought up something about 8-track tape cartridges, which were a fad in the US in the 1970s but, unbeknownst to me, didn’t catch on in Europe. They had no idea what I was talking about! LTW: It seems unusual these days to be in the same room to record – was that quite a nice experience as opposed to file sharing and working in your own studios? TB: Being in the room together definitely had a positive effect on the resulting album. There certainly is something about playing together, the intangibles, and some decisions are just easier to make when you’re all together. We did plenty of remote collaboration before and after the studio sessions, so I’m grateful for that convenience too. The remote thing has enabled projects we would’ve never seen happen before, so I’m happy to know that it’s opened more doors. LTW: The album shows a massive range of influences – dare I suggest that you play a big part in that with your contribution includes some sharp organ licks and jazzy piano amongst other things? TB: A big part of my background is in jazz, and Jonas Reingold shares a similar background in that regard, so there was some bonding there. I never intend to be ‘gimmicky’ in anything I do, but rather just a music lover who is part of something where so many influences are welcome. Another part of my background is that of a singer-songwriter, so I aim to bring a lot of song-oriented mentality into the fray as well. LTW: The long song construction always intrigues me – so on something like Broken Cord, how did that come together? TB: Broken Cord is a major reflection of Roine’s musical personality. He likes to just create and create and have fun adding textures and colours. You can hear his love for The Beatles, Yes, and atmospheric soundscapes throughout. We did record the piece in a few segments, but he always had the form in mind. LTW: I suppose there are a lot of writers in the band contributing all sorts from initial ideas to contributing to other people’s ideas? TB: If there’s one thing we wish we could’ve done more of in the studio, it would be writing together. You’ll see all of us represented in the writing on this album; sometimes we’d come in with a complete song, for instance, I brought in They Know My Name pretty much ready to go. Other times, someone would add a lyric to another’s music, or someone would create a new section of music, etc. etc. The song Time had some in-studio collaboration as well. The writing is where the combination of remote and in-person sessions was helpful. LTW: The Sea Within album has a lot of music – the bonus disc – is it easy now to include a lot rather than trying to make a final selection of the best 45 mins like you would on an old vinyl album? TB: I really think the second disc is called a ‘bonus’ because it is EP-length, as opposed to it being a full double CD. Every version of this release has the 2nd disc tracks, and we didn’t consider them to be of any less importance on the album. The double vinyl is full, though! LTW: There are some (or at least one) live dates coming up – how are you able to prep for that when you’re all busy with other things? TB: I’ve had to learn how to answer that question in most of my life as a musician! It’s always a juggling act, this life, so it’s often just a matter of making the time and getting down to business. LTW: Pete Trewavas is playing on the live dates I believe while Jonas is busy and Casey has come in for Daniel; you have a few big name guests on the album – it really feels like a who’s who coming together! TB: This is the music world in 2018! Jonas will be on tour with Steve Hackett at the time of our debut show, and we’re happy that Pete will be stepping in and helping us launch the group. It became evident that Daniel wouldn’t be continuing with the group after the recording, and Casey will be taking the torch and singing lead for the group now. Our guests on the album are all musicians that we’ve known and enjoyed working with, so it was a nice touch to include them. I’m really looking forward to hearing how it all comes together live!